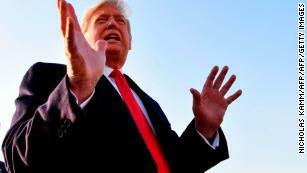 (CNN) A week before high-stakes midterm elections, President Trump and his allies are zeroing in on immigration in what critics describe as a series of stunts aimed at rallying his base. 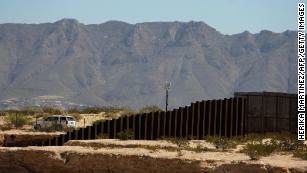 Recent moves to send more troops to the US-Mexico border, possibly overhaul asylum policyand rethink birthright citizenship are political ploys with dangerous implications, immigrant and civil rights advocates warned Tuesday. • The President cannot rewrite the Constitution unilaterally and end birthright citizenship. • Sending troops to the border to respond to families fleeing violence is a waste of money. • Shutting down the border to asylum-seekers would be illegal. Vanita Gupta, who headed the Justice Department’s civil rights division during the Obama administration, said the President’s plan — reported Tuesday by Axios — is offensive, deeply troubling, racist and unconstitutional. “It is a moral outrage and dangerous,” said Gupta, now president and CEO of The Leadership Conference on Civil and Human Rights. “His very actions are a betrayal of our nation’s highest ideals of justice, inclusion and fairness. The administration’s announcement that it’s sending more than 5,000 active duty troops to the border to respond to large groups of migrants trekking through Mexico also drew sharp criticism from advocates. It’s not fair to troops, said Bishop Garrison, the interim executive director of the Truman National Security Project, a left-leaning organization focused on national security and veterans issues. “This is going to be very costly and just flat-out wrong. … To continue to use American troops as political pawns in this way is wrong and is disrespectful to their service,” Garrison said. He argued it doesn’t make sense to send the military to handle this humanitarian crisis. 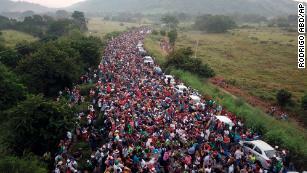 Regarding the administration’s consideration of a plan to limit most — if not all — of the Central American migrants traveling in large groups through Mexico from crossing the US border, advocates said they were still waiting for details. But they weighed in on several possibilities that have been floated in recent days. Shutting down the border to asylum-seekers would go against US law, Sharry said. Talbot noted that the government is weighing a proposal that would result in separating immigrant families again, as CNN has reported.